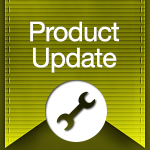 On Thursday evening, we published a minor product update focused on database and infrastructure improvements. This release should significantly improve the service’s speed and responsiveness. Several minor reported bugs were fixed in this update as well.